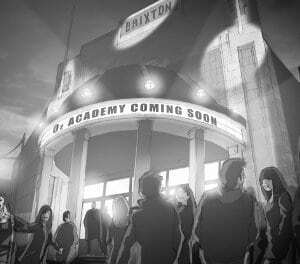 Mobile operator O2 has signed a deal which will see eleven major music venues across the UK rebranded as an ‘O2 Academy’. O2 will offer customers a series of benefits such as priority access to tickets and will use the venues to test a range of NFC-based services. British mobile operator O2, which is quickly building a reputation as an NFC innovator, has signed a deal which will see eleven major ‘Academy’ music venues across the UK rebranded with the O2 name under a strategic alliance between the venue owners and the mobile operator. “The alliance will boost support for future music talent and enhance the music experience for fans visiting the venues as well as allow O2 to offer a number of benefits for its customers,” says O2. Customers will gain priority access to tickets to all gigs at the venues, as well as other events organised by Live Nation which, with Metropolis Music and SJM Concerts, is a major shareholder in Academy Music Group, the venues’ owner and operator. A series of innovative, additional services are also being hinted at. “Through this partnership we are not only looking to benefit O2 customers, but to also enhance the live experience for all artists and music fans,” explained Ronan Dunne, Telefonica O2 UK’s chief executive. “We intend this partnership to take O2’s position in live music to new heights and allow us to market our concerts and artist-related products to millions of O2 customers and drive incremental ticket sales,” added Simon Lewis, international president of music marketing partnerships at Live Nation. O2 will work closely with Live Nation/AMG to enhance the concert-going experience, developing technologies like mobile ticketing which is both convenient and environmentally friendly, and utilize the venues to assess the benefits of contactless NFC (Near Field Communication) technology in the music industry. O2 customers may also be able to enjoy other unique benefits that will significantly enhance their experience, including fast track entry, creating areas for O2 customers and their guests where they can relax before and after events, and opportunities to text ahead for special benefits. O2 will also have first option to exclusive live content from O2 Academy gigs and will work closely with the artists to make this content available for download to mobile handsets. Through its Napster and MyPlay music services, O2 has a variety of platforms available for artists to distribute their music directly to fans. A highly successful six month ‘O2 Wallet’ trial took place in London between November 2007 and May 2008. Five hundred people took part in the test, designed to discover consumer demand for having payment and travel cards available on an NFC mobile phone, and was conducted jointly with Transport for London, Barclaycard, Visa Europe, TranSys, Nokia and AEG. At London Fashion Week in February 2008, an O2 NFC system was used to allow fashion buyers to give instant feedback on the latest Emilio de la Morena collection. Installed for the designer’s catwalk show at the Science Museum, the system enabled buyers to touch an NFC phone to smart posters featuring the different designs on offer in order to register their interest in a particular design. This instant feedback allowed the label to find out which designs were most popular and to make any necessary changes to the collection before its Paris fashion show only two weeks later. In June 2008, O2 began a trial designed to protect care workers in the field while they are visiting patients. 120 healthcare workers were issued with NFC handsets for remote community care access and NFC tags are used to enable workers to access patient records on their handsets and log their whereabouts when they are visiting patients to enhance safety measures when workers are making house calls. In July 2008, VIPs at the O2 Wireless Festival were able to access ‘VIPee’ NFC-secured toilets. Selected guests could access luxury cubicles on site simply by tapping an NFC wristband to a special reader.